Bags by Georgie Pauwels https://flic.kr/p/pFLZzE Used under creative commons. Now Available as an expanded e-book! Check it out here. Welcome to part 2 of The Elusive Fashion Habits of the INTJ Female. If you missed part 1, where we talked about what attracts INTJs to certain fashion, check it out here! We know what INTJs want from their fashion, but how do INTJs shop? It may come as no surprise that INTJs shop for clothes differently than other cognition types. INTJs have a difficult time separating themselves from logical processes and analysis; therefore, it’s difficult not to see shopping as anything but another system to be mastered and perfected. To sell something to an INTJ, prepare for a long sales cycle. INTJs don’t splurge often, or indiscriminately. Everything from the shopping trip, the budget, and the items to be purchased have, more than likely, been planned out over a period of time. Research is a term that I’m going to apply in a few different ways. First, if an INTJ needs a clothing item with which they are unfamiliar, they will research it beforehand. There are many fashion style guides available on the internet. When marketing to an INTJ, providing a style guide that includes not only ways to wear the item, but also where and/or why you’d wear the item is an effective way to assist your INTJ buyer. INTJs like to understand the purpose behind the things they buy so a brand or retailer that provides information on an item’s functionality will be appreciated. Another way INTJs research is by shopping around and analyzing available data. Of course, shopping around is the new norm for most shoppers and represents a significant change in buyer behavior. However, for the INTJ, price comparison, available styles, reviews, and star ratings are key because an INTJ will put more weight on an item that has data associated with it than an item with no data. In this way, INTJs tend not to be swayed by loyalty to a single brand. Instead, they may look at many familiar or favored brands and make a decision based on the best option available at the time. Because of this “research” period, it may appear to outsiders that INTJs “window shop” more than they buy. However, the window shopping is usually for a purpose, and the INTJ will eventually buy whatever it is that they are shopping for. A brand that wishes to appeal to these careful and well-informed shoppers will ensure that the user experience includes ample information for the data-gathering function of the INTJ cognition style as well as the opportunity to purchase items with a longer sales cycle. Note: the trend of “Fast Fashion,” as represented by brands like Zara and H & M, are extremely popular for many shoppers. I am a fan of Zara, myself, but fast fashion also has its detractors. Ultimately, fast fashion has proven to be a successful strategy for the brands mentioned above, though INTJs may not connect to the brand because of the constantly changing inventory. 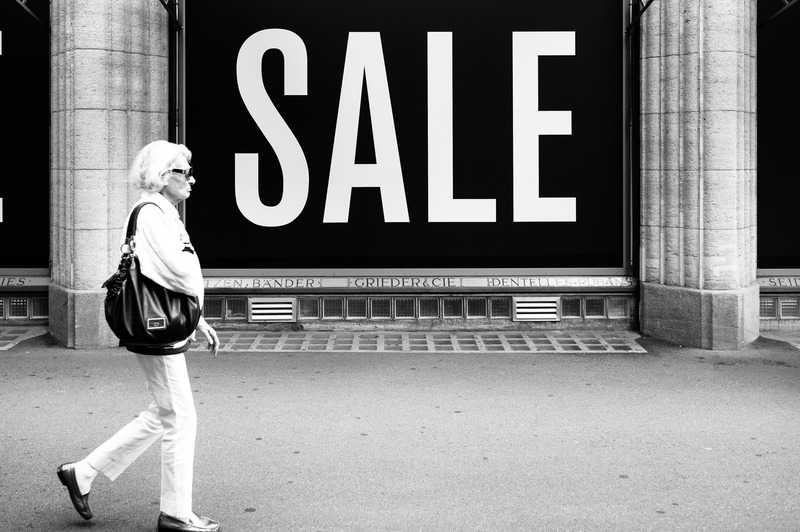 Sale by gato-gato-gato https://flic.kr/p/u54k3E Used under creative commons. INTJs have a reputation for being frugal. Let’s be clear, frugal does not mean that INTJs have cheap taste. In this context, a frugal nature means that an INTJ will carefully factor the cost against the perceived value of a purchase. They spend time thinking about buying the particular item and assessing whether or not it is a fit for their lifestyle. If, after a few days of consideration, they decide that it’s something they want and need, they buy it, if money is not an issue. If the INTJ is on a budget, they save up to buy the item; or they wait to shop sales. On the subject of sales, INTJs love a good sale, maybe more than any other cognition style (the wealthy heiress in the Korean drama, Becoming a Billionaire provides a humorous, but somewhat true, representation of an INTJ shopping mindset). If you want to get an INTJ to splurge, have a sale. While this is often the case, if an INTJ hasn’t researched the purchase or identified specific needs, it’s rare that they will impulse buy. However, INTJs may impulse buy for other perks. If they were going to buy something, they may add a few other items to their cart to get free shipping, or just because, sale! Still, they won’t often spend money unless they were already planning to do so. INTJs shop sales strategically. They’re willing to do the math to not only make sure it is a good value, but also to get the best deal available. If getting that good deal takes a little extra effort, or you the INTJ has to finagle the deal by adding a few items to the cart, then so be it. Because INTJs put everything through a logic and rationality check, INTJs may be more prone to convince themselves to NOT buy something — or at least to hold off on buying it. Anything bought has to go through a rationale checklist. Questions like: Will I wear this? When will I wear this? Do I actually like this? Do I like the price? Does it fit with or meet the needs of my wardrobe? Am I buying this as a treat? Does it meet my standards? Are common. If the item doesn’t pass this process (which may vary from INTJ to INTJ), then it won’t be purchased. At a minimum, the item may be put on hold, sometimes to the INTJ’s detriment, especially as seasonal or high demand items may not last long enough for a decision to be made. INTJs can and do experience Didn’t-Buy-Remorse. On the flip side, there’s nothing worse than buying something only to see it on sale a few months later. But that’s shopping life. However, this fact of life is particularly annoying to an INTJ as it proves just how inflated the pricing of the item was. It’s safe to say that INTJs overwhelmingly prefer online shopping. There are so many benefits to shopping online. With websites like Google.com/shopping, Shopzilla, and Pricegrabber, among others, it’s easy to compare clothes and prices, to gather data for decision-making, and to see reviews. There are no sales clerks interrupting the internal buying process. There are no crowds to wade through, no lines. For any shopper who values peace and orderliness, online shopping is a pleasure. Of course, there are downsides to online shopping: you can’t try things on, many brands still don’t understand how to create cognition-based user shopping experiences (online or in-store), and you often have to wait days or weeks for your purchase; but these are small inconveniences compared to the stresses listed above. As long as the store offers a good return policy, INTJs are happy. Shop by Firelknot https://flic.kr/p/fy9ecZ Used under creative commons. There are times that, no matter how much we wish to avoid it, INTJs have to shop at an actual store. In these instances, an unstructured and chaotic environment can add to the stress an INTJ already feels. When shopping online, you can search by a category such as jackets, by color, by size, or by any number of filtered data. In store, these filters don’t exist, greatly complicating the buying experience for the INTJ cognition style. Making decisions while lacking the necessary data makes shopping a miserable experience. That’s not to say that INTJs can’t enjoy shopping in stores. When shopping is viewed as a research and data gathering experience without the pressure to buy, simple window shopping can be fun, especially with a group of friends. In fact, an INTJ may even find it helpful to get others’ opinions, as this can help to speed up decision-making process. Opinions count as data, but only when it is from a trusted source – friends or family, not a store employee (unless it is a question of functionality). 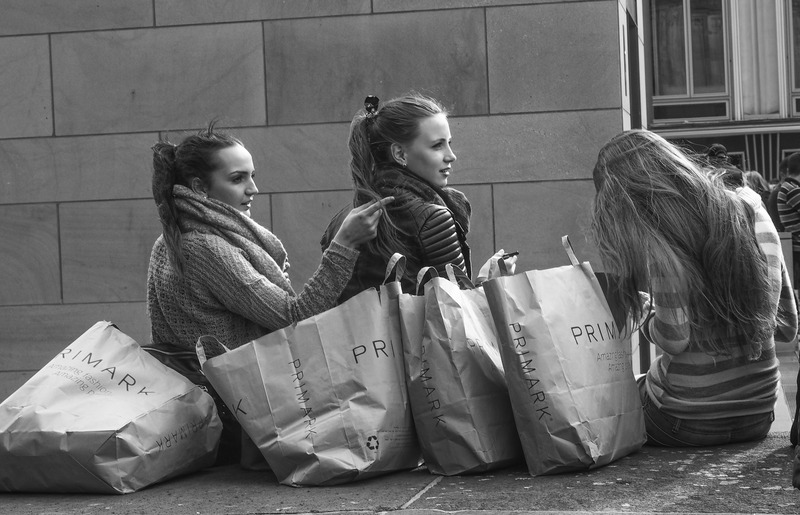 When shopping in a group, an INTJ may also be more likely to splurge a bit, as they are not immune to peer pressure; however, if an INTJ really doesn’t want (need) something, they won’t buy it; nor can they be moved by emotional appeals. A final note about in-store shopping, INTJs may need to be in the “mood” to shop, especially for long periods of time. They need to mentally prepare themselves to shop. From my own personal experience, when I was a kid, I would get grumpy during back to school shopping season, especially if I didn’t know about the shopping trip beforehand. To do the kind of marathon shopping required by “Back to School,” I needed to get in the zone. I found the shopping process frustrating, even though I enjoyed the end result: new clothes. Because the INTJ sales cycle is longer than average, when they do make a purchase, they value efficient transactions. They have done their part: data gathering, valuation, features and functions assessment. They know exactly what they want. The INTJ does not want to be upsold or to have their decision challenged. Why look at anything else when you’ve already thought about this for days, weeks, months, years? When the time comes to buy, INTJs will go straight to the items they’ve decided upon and then check out – unless there’s a perk offered that increases the value of the upsell, don’t bother trying to get an INTJ to add items to the cart. If your customer walks in, picks up an item or two, and goes directly to checkout, they’re probably an INTJ. That’s it for my observations on The Elusive Fashion Habits of the INTJ female, Part Two. If you haven’t read Part One, you can find that HERE. Please note that these perspectives are my own and are based on observation and personal experience. What about you? As an INTJ do you agree or disagree with these shopping preferences? If you aren’t an INTJ how does your Myers-Briggs type prefer to shop? Thanks for taking the time to read this post, and don’t forget to check out the final part in the Elusive Series: The Elusive Fashion Habits of the INTJ Female, Part Three: After Purchase.